← Canning Costs- Ways to make it just a bit cheaper.. The War of 1812 was a military conflict that lasted from June 18, 1812 to February 18, 1815, fought between the United States of America and the United Kingdom, its North American colonies, and its Native American allies. Historians in the United States and Canada see it as a war in its own right, but the British often see it as a minor theatre of the Napoleonic Wars. By the war’s end in early 1815 the key issues had been resolved and peace returned with no boundary changes. The United States declared war for several reasons, including trade restrictions brought about by the British war with France, the impressment of as many as 10,000 American merchant sailors into the Royal Navy, British support for Native American tribes fighting European American settlers on the frontier, outrage over insults to national honor during the Chesapeake–Leopard Affair, and interest in the United States in expanding its borders west. The primary British war goal was to defend their North American colonies; they also hoped to set up a neutral Native American buffer state in the US Midwest that would impede US expansion in the Old Northwest and to minimize American trade with Napoleonic France, which Britain was blockading. The war was fought in three theatres. First, at sea, warships and privateers of each side attacked the other’s merchant ships, while the British blockaded the Atlantic coast of the United States and mounted large raids in the later stages of the war. Second, land and naval battles were fought on the U.S.–Canadian frontier. Third, large-scale battles were fought in the Southern United States and Gulf Coast. At the end of the war, both sides signed and ratified the Treaty of Ghent and, in accordance with the treaty, returned occupied land, prisoners of war and captured ships (with the exception of warships due to frequent re-commissioning upon capture) to their pre-war owners and resumed friendly trade relations without restriction. With the majority of its land and naval forces tied down in Europe fighting the Napoleonic Wars, the British used a defensive strategy until 1814. Early victories over poorly-led U.S. armies demonstrated that the conquest of the Canadas would prove more difficult than anticipated. Despite this, the U.S. was able to inflict serious defeats on Britain’s Native American allies, ending the prospect of an independent Indian confederacy in the Midwest under British sponsorship. U.S. forces took control of Lake Erie in 1813, and seized western parts of Upper Canada, but further American offensives aimed at Montreal failed, and the war also degenerated into a stalemate in Upper Canada by 1814. In April 1814, with the defeat of Napoleon, Britain now had large numbers of spare troops and adopted a more aggressive strategy, launching invasions of the United States; however, an invasion of New York was defeated at Plattsburgh, and a second force, although successfully capturing Washington, was ultimately repulsed during an attack on Baltimore. Both governments were eager for a return to normality and peace negotiations began in Ghent in August 1814. These repulses led Britain to drop demands for a native buffer state and some territorial claims, and peace was finally signed in December 1814, although news failed to arrive before the British suffered a major defeat at New Orleans in January 1815. 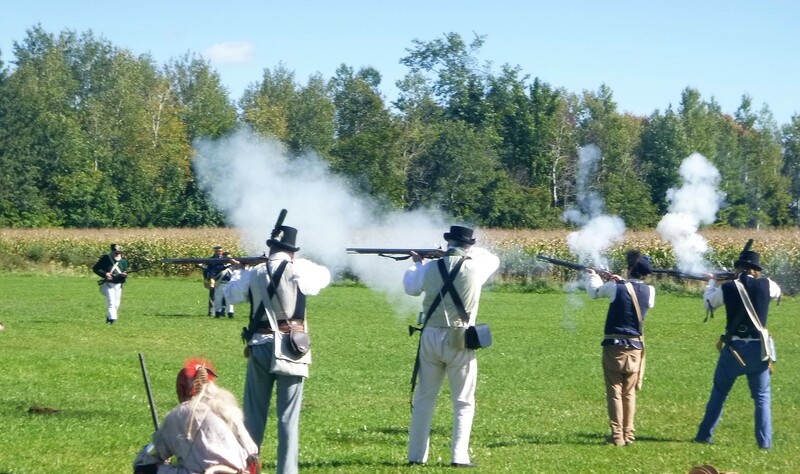 In Upper and Lower Canada, British and local Canadian militia victories over invading U.S. armies became iconic and promoted the development of a distinct Canadian identity, which included strong loyalty to Britain. Today, particularly in Ontario, memory of the war retains significance, because the defeat of the invasions ensured that the Canada’s would remain part of the British Empire, rather than be annexed by the United States. 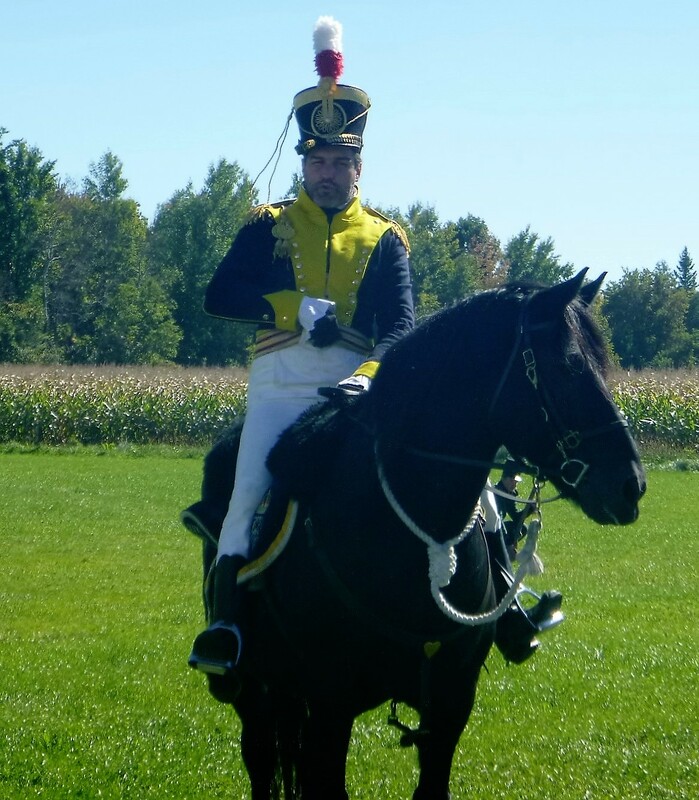 The government of Canada declared a three-year commemoration of the War of 1812 in 2012, intended to offer historical lessons and celebrate 200 years of peace across the border. Just a few photos from our local event.. I was already not feeling well, but was not truly sick yet, and hubby was starting to feel better after being sick last week. There is a cold-flu thing going around this fall and it hit my hubbies office with a bang.. normally, he does not get sick but this one had him sniffy and tired.. and then he shared with me.. lucky, lucky me! This big boy is a Canadian horse and a x-RCMP horse.. enjoying his retirment.. my grandfather bought a team of Canadian’s way back when to work on the farm.. I came home with some lovely oven fired bread and this lovely! 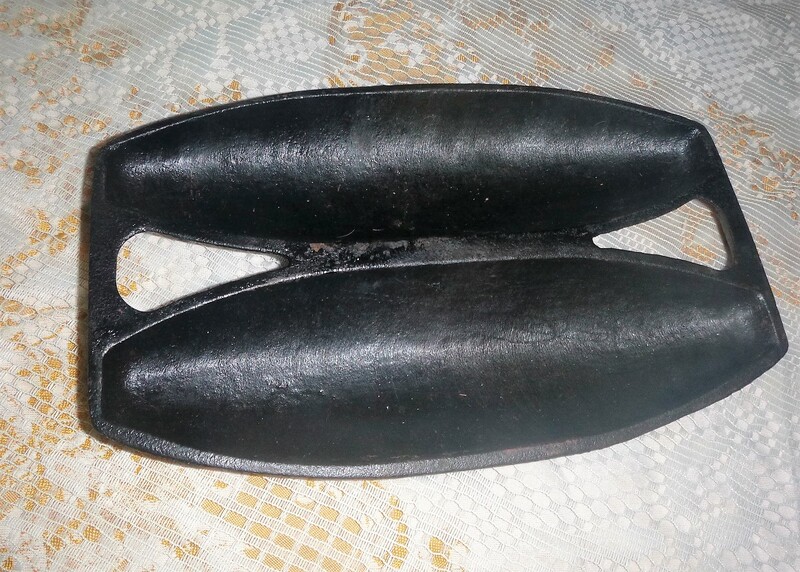 Its a two loaf cast iron bread pan.. I was hoping they would have one for sale and got there bright and early in the morning to pick it up.. I will show some breads made with it in future times.. This entry was posted in Life moves on daily and tagged cast iron, cast iron bread pans, local events. Bookmark the permalink. I lost an ancestor in the Bay of Fundy.